Here’s a fab little deal for a cheap and cheerful date night! 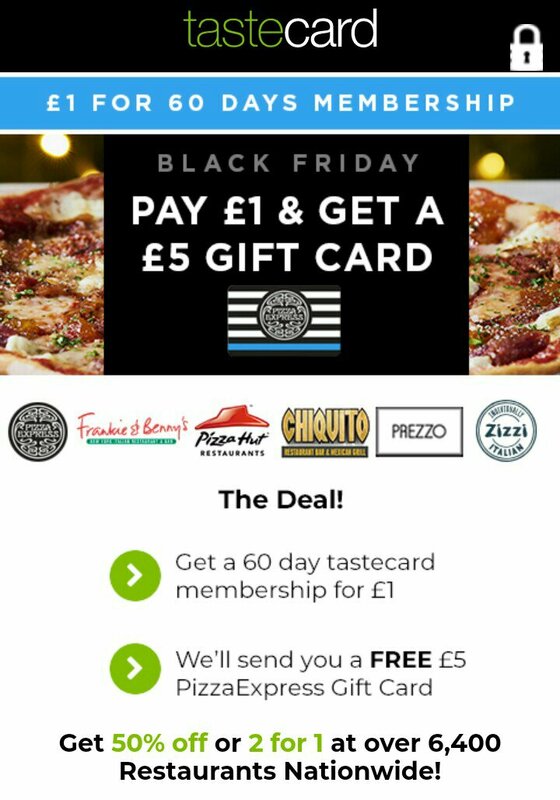 I’ll keep this post short: you can get a Tastecard 2 month trial for just £1 and you’ll also get a FREE £5 Pizza Express gift card! It’s well worth getting but if you do DON’T FORGET TO CANCEL YOUR SUBSCRIPTION BEFORE THE END OF THE FREE TRIAL. 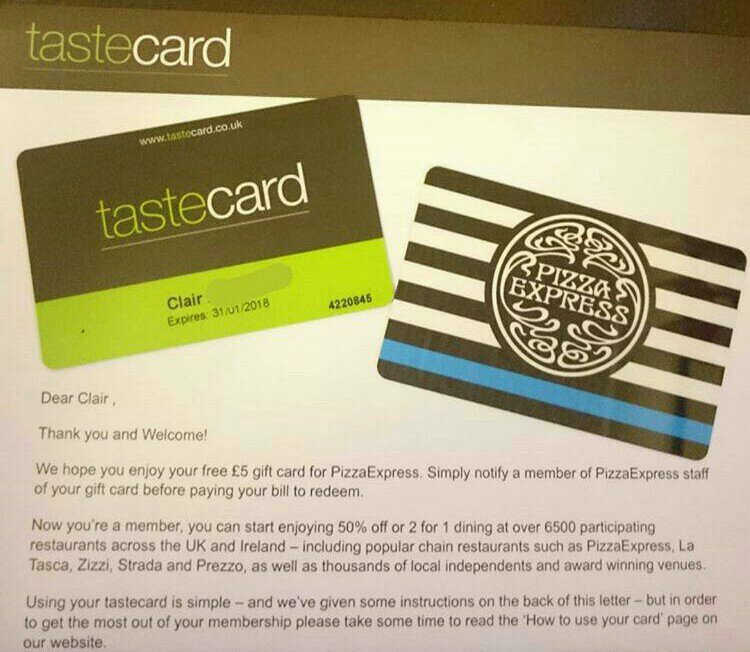 The gift card is sent with the Tastecard welcome pack. I ordered mine on Sunday and it arrived today. I will cancelling mine in the next few days as you’re still able to use the card until it expires. It’s a foolproof way to avoid being charged the thirty-something pounds that a normal membership costs! If you want to get your own bargain Tastecard click HERE! Fancy a meal out without it costing a fortune, get yourself to your nearest Village Hotel for their ‘Girls at the Grill’ deal. You and a friend can enjoy two courses and a glass of fizz EACH for just £29! My Top 10 Birthday Freebies! It’s my birthday in June and I’m already thinking about all the free treats that will be heading my way! Here’s 10 of my favourite birthday freebies!